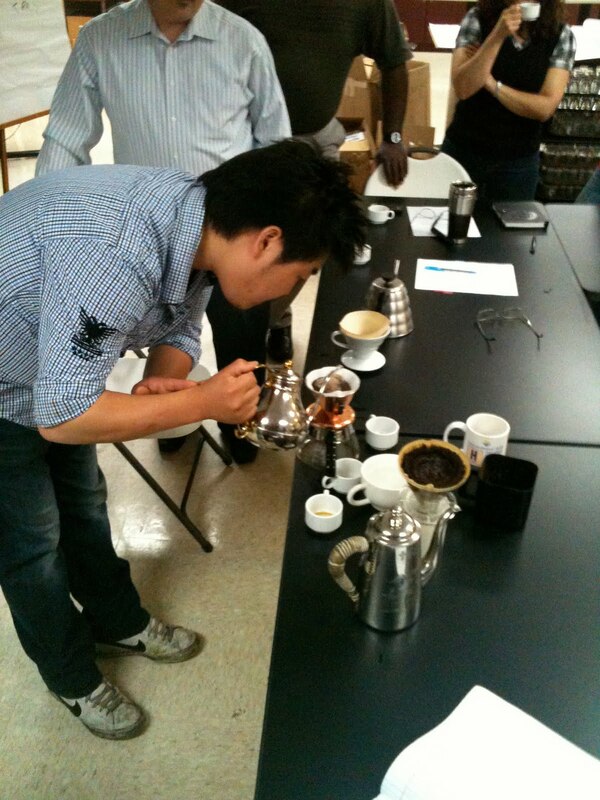 The SCAA staff was excited to watch a demonstration today in our Lab, presented by Eton Tsuno and Tommy Kim, on Japanese brewing techniques and products. 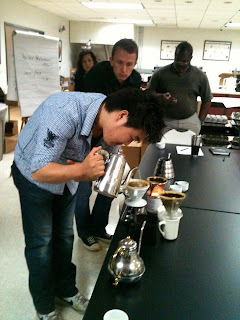 Tommy Kim, trained at the Kono Coffee School in Japan, expertly demonstrated how different technique and brewing mechanism can greatly impact taste using the Kono, Killita and Hario V60 brewers. Although each of Mr. Kim’s brewed cups were exemplary, the subtle variations in taste were apparent as we were treated to samples of each cup after being brewed using a different technique. Thanks again to Eton and Tommy for stopping by our offices and sharing their time and knowledge with us. Eton is the CEO and Co-Founder of IOTA Coffee in Los Angeles. Next Post Next Post: We are proud to present the SCAA Event Video!